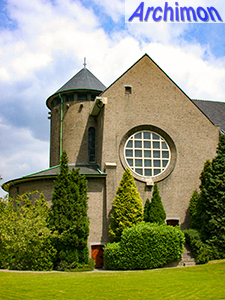 Heksenberg is one of several settlements in Heerlen that were built near a coalmine. 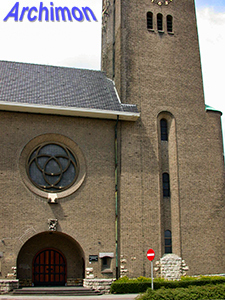 A first church for the settlement had been designed by Jos. 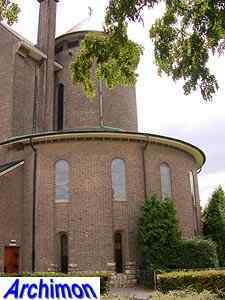 Wielders which however was not built because of some disagreement between architect and commissioners. 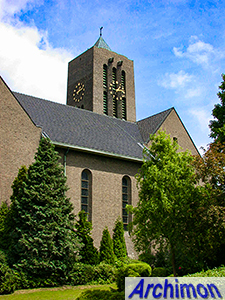 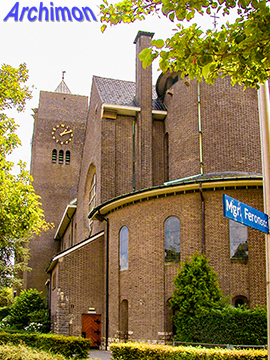 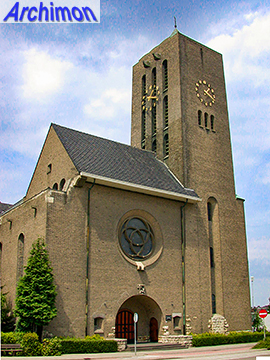 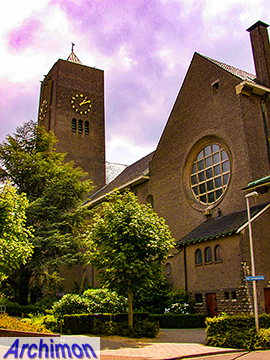 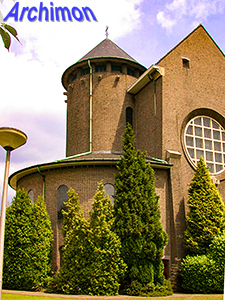 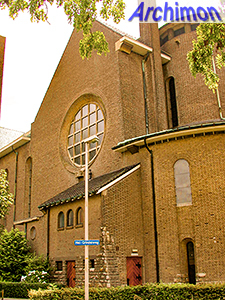 Instead Alphons Boosten was commissioned to design the new church. 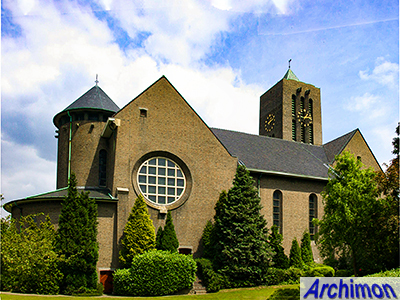 At the same time Boosten was working on his design for the church of St. Hubertus in Genhout. 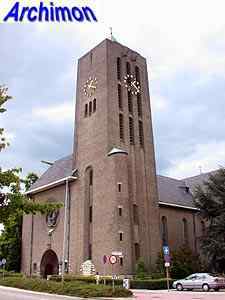 But despite similarities in style, compared to the village church in Genhout Boosten's church in Heksenberg was a much bigger building. 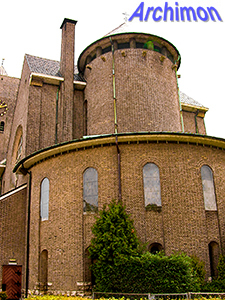 The church is made up of three major parts, the tower, the nave and the choir, which were built seperate from each other to limit possible damage caused by the nearby mining activities. 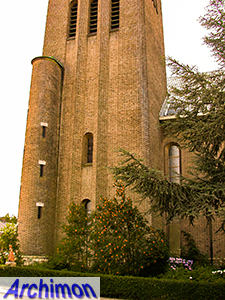 The tower has a round stair-turret and is part of a westwork. 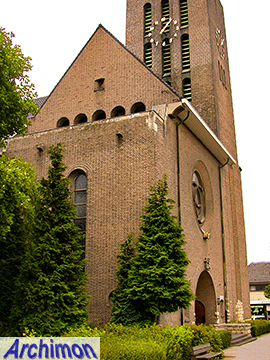 The choir is a cylindrically shaped and has an ambulatory. 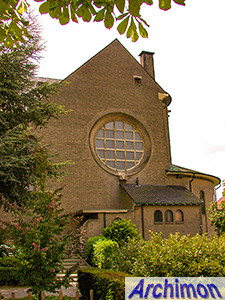 Boosten had to make several changes to make his design cheaper, like decreasing the size of the transept. 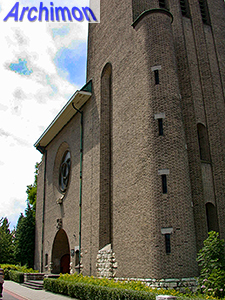 A lot of attention was given to the foundations to prevent sagging since the church was built on brown coal.